Hello dear friends! Merry Christmas! 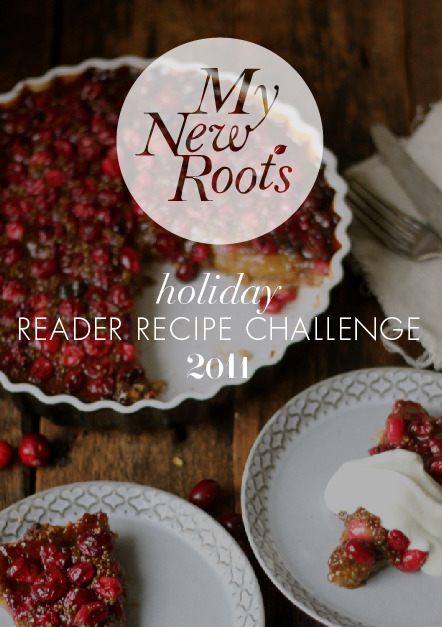 I was so inspired by the creativity and care you all put into the recipes you submitted to the Holiday Reader Recipe Challenge, that I decided to put together a fine selection for everyone to enjoy. It’s your gift to me, back to you. Please click here to download a PDF and get cookin’. Thank you again for participating – your recipes were high vibe and totally astounding. I hope you are all having a healthy and happy holiday. Wish I could access the Christmas recipes but I guess I am really late in discovering this blog!!! Has anyone tried the Radiant Raw Chakra Salad? If so, what are your suggested proportions (measurements) that have worked for you? A wonderful 2012 to you! First of all: I can’t possibly tell you how much I love you for putting this mini recipe compelation together! One of my new years resolutions is to try out veganism, and this is a great start! Secondly: I made the coconut balls for a new years party yesterday and they were a HUGE hit!!! I covered them in melted carob before rolling them in the coconut, which seemed to help keep the coconut on a bit better AND tasted amazing. I’d highly recommend it. Mmmm! 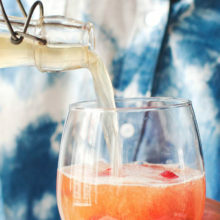 Can’t wait to try quite a few of these!! Sarah! this is beautiful! Thank you! Best present ever. Thank you to everyone who contributed. beautiful, beautiful! can’t wait to try the kale pesto!! Amazing! This will surely keep me busy cooking all winter long. This is awesome, thank you Sarah!! I can’t wait to test out these incredible recipes. I just ran into your site on pinterest and I love it! Thanks so much for sharing such wonderful healthy recipes. It is such an honor to be included, thank you Sarah B! Thanks for sharing this with everyone. Very kind of you. Not sure which recipe to start with as they all look fab.. Hope you have had a nice xmas. Look forward to all your wonderful post in the new year. Thank you so much for recipes – Made two of them for dinner tonight!!! Thinking about using small caps for appetizers. And the Black Bean and Sweet Potato Stuffed Acorn Squash. Don’t know which one I like better!! What a treat! Thank you for putting this together for us! Now I’m off to do some cooking! Thank you for sharing – a lovely Xmast recipecollection! Wow, I think that’s a start of wonderful cookbook!! Thanks for sharing. What a wonderful present!! thank you and merry christmas!! Wow! What a wonderful present to give everyone! It looks wonderful and I’m excited to try some of the recipes!! Wow, this is so cool! Thank you! So many great recipes!! Wow! Thank You, Thank you, thank you!! This is such a wonderful collection of recipes; I truly appreciate all the precious work & effort of the contributors. The recipes look so good that it’s certainly not ‘only’ for the holidays!